Love is hard to find but it’s easy to videotape. 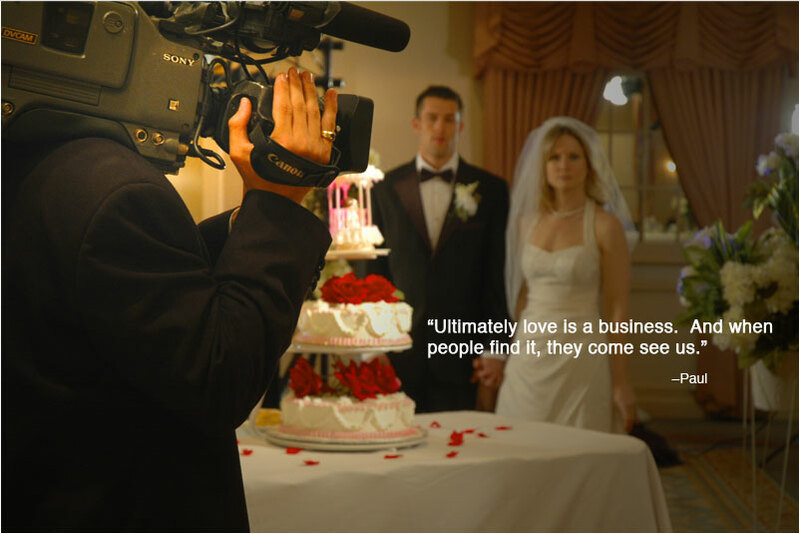 Paul McNamara and his video guys have shot over 2500 weddings. Every type of crazy bride and wacky groom. They manage the wedding day and keep the in-laws from killing each other. Now Paul must face his greatest challenge to date: his ex-wife’s wedding.